Low time Hangered Classic ONLY 1702 TT and 20 SMOH. 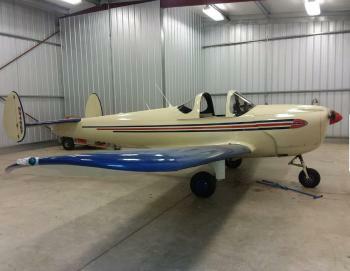 Airframe: 1702 TT SN Engine(s): 20 SMOH Don't miss the chance to own this aircraft. Click here for more details.. Beautifully restored 1946 Ercoupe 415C, LSA, 3006 TT, 155 SMOH (STC approved O-200 crank & pistons), Appareo Stratus xpdr ADS-B out, iPad panel mount w/Stratus navigation, Garmin 460 panel mount, Garmin radio, polyfiber wing fabric. Annual 3/18. Must sell. Medical issues. Located at MNE. Call or email for more information. Total Time: 3,006 Engine 1 Time: 155 SMOH......more. 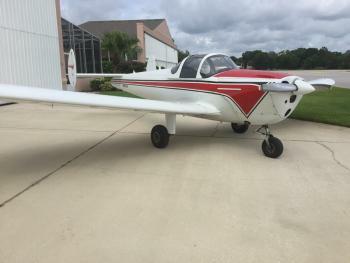 Total Time:	2834 TT Engine:	111 SMOH Propeller:	1109 SPOH Exterior:	JUNEAU WHITE WITH RED & BLACK TRIM Interior:	BLACK & RED VINYL AND FABRIC # Of Seats:	2 Seating:	2 Annual Due:	5/20 Avionics:	TKM MX 11 COM KING KT 78 XPONDER W/ENC SIGTRONIC 2 PLACE INTERCOM Other Equip:	OIL FILTER SYSTEM W/QUICK DRAIN CLEVELAND BRAKES STROBE LIGHTS RECENT AIRFRAME RESTORATION BY JOHN WHITE & SON R......more. O-200, 706 SMOH, metal, polished, nice Comments: These airplanes are over seventy years old and corrosion is becoming a problem. 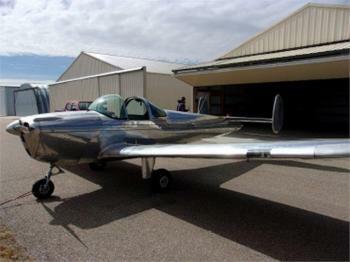 This airplane offers freedom from that concern and one of the straightest airframes that a mechanic, who has extensive Ercoupe experience, said he'd ever seen. The Ercoupe (E and R coming from the company's name: Engineering and Research Corporation) was one of th......more.